COSMETIC retailer Make Up Pro Store has opened a new outlet in Derry in what is an investment of £50,000, adding to its existing portfolio in Belfast and Newry. 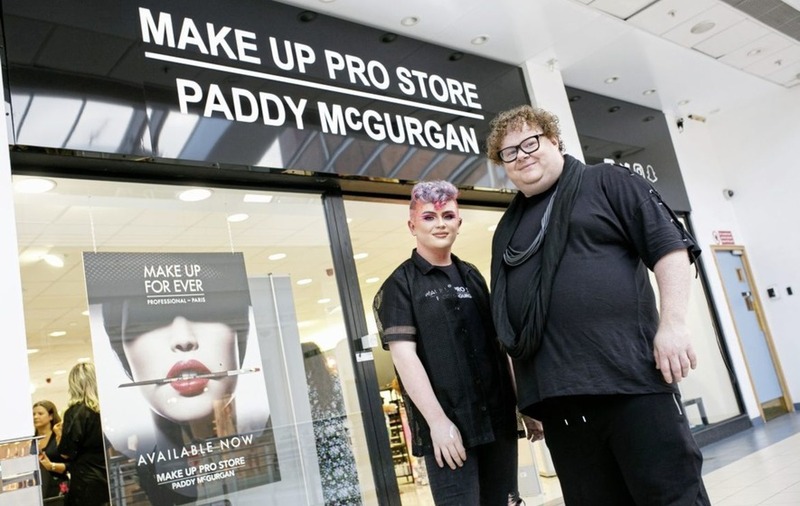 The business, founded in 2012 by award-winning make-up artist Paddy McGurgan, has moved from its premises on Pump Street to a 1,600 sq ft space in the Foyleside shopping centre. It will not only act as a cosmetic store but additionally as a training academy where budding make-up artists can avail of innovative lessons, learning complex techniques from Paddy and a team of highly trained artists. With the relocation to Foyleside, Make Up Pro Store (www.makeupprostore.co.uk) has also expanded its brand offering to include Make Up For Ever, marking the first time it is available in the Derry area. Paddy McGurgan said: “We're delighted to open in Foyleside. We've been considering a larger space for our Derry customers for some time. Foyleside has been on our radar and it is fantastic to be finally set up within this bustling centre. Mr McGurgan has trained more than 650 budding make-up artists in the last six years, giving ambitious individuals the opportunity to work for themselves and set up their own business.